Quite possibly the best on the Planet. I serve mine with a homemade tagliatelle. Add the beef, salt, pepper and sauté while breaking it up with a wooden spoon, sauté just until the beef is lightly browned. Put the heat to low, add the milk and simmer for a 5 minutes stirring the whole time. 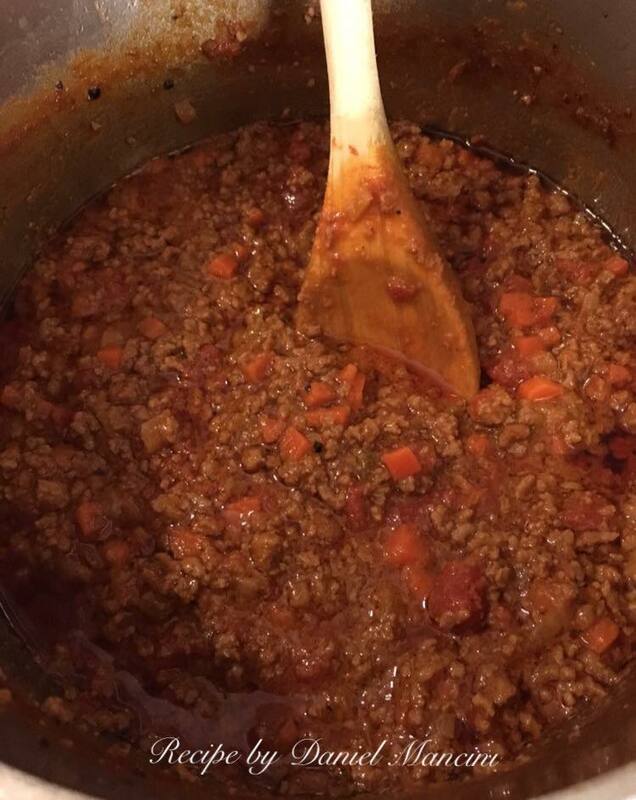 Always add the bolognese to a skillet and toss on a medium heat with your cooked pasta to coat. Serve with some grated Parmigiano-Reggiano cheese, fresh grated of course and more bolognese on top. Incredible!